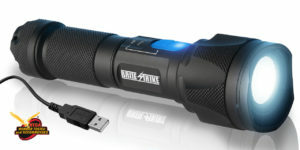 Tactical Touch® Flashlights with Tactical Blue Dot® Switches For Law Enforcement & Military. 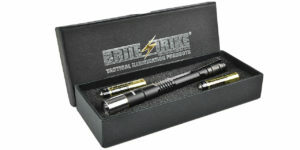 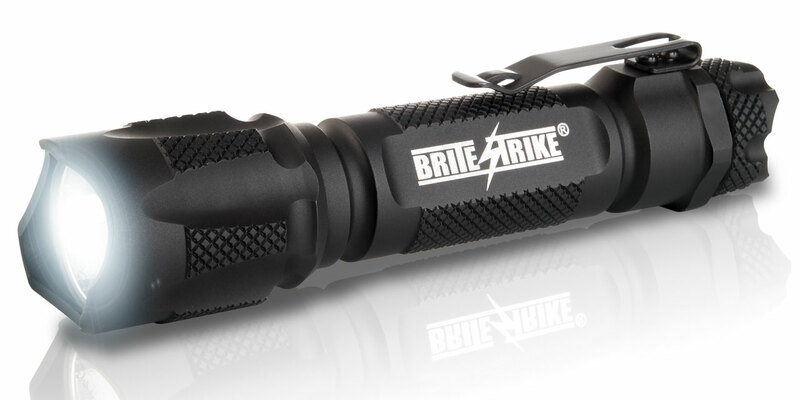 Brite-Strike® Tactical Touch® Flashlights were designed with Tactical Blue Dot® Switches. 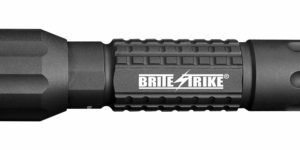 Designed By Police Officers, For Police Officers®, the body is CNC machine milled from a single billet of high grade aerospace aluminum. 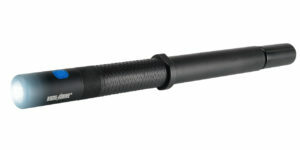 The proprietary black anodized finish exceeds Mil Spec class two type III. 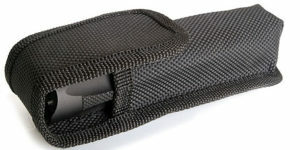 The unique tri-sided body is more ergonomic for better gripping. 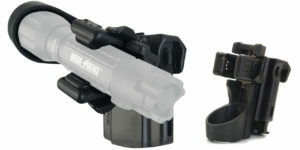 The front crenelated strike crown is blunted and the rear crown is more aggressive for maximum effectiveness in applying pressure point control techniques. The pocket clip is specifically designed for line officers and is reversed from other tactical lights. 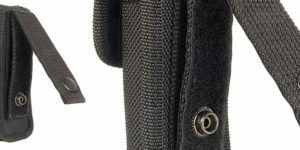 The clip features a greater clearance for lightning fast draws from either a BDU pocket, duty belt, or six pocket police pant. 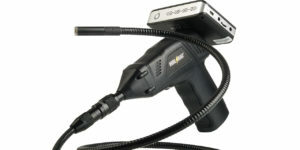 It also allows for quick mounting on a uniform epaulet, and quick removal when needed. 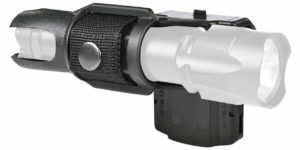 The beam is a brilliant white light with a wider “spread” for a flood effect, which illuminates the entire area of a vehicle on a motor vehicle stop. 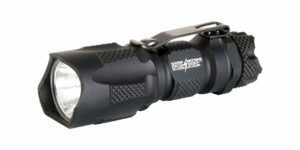 Tactical Touch® Flashlights were designed with Tactical Blue Dot® Switches. All of our lights can be turned on and all modes accessed using a single finger or thumb on one hand, thus meeting our definition of a true “Tactical Flashlight”. 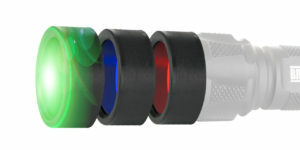 We simply never understood how a switch that requires a two-handed twisting and turning action to turn on or off or to access any functions made sense. 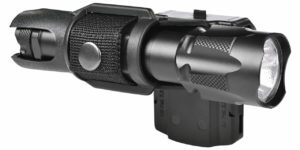 Accidental turn-ons are prevented by slightly recessing the switch within the rear crenelated crown. 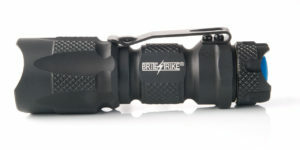 Our patented design not only protects the switch from damage but is very effective when applying pressure point techniques. 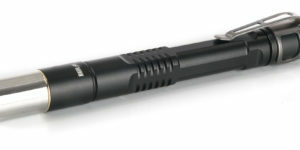 TAILCAP SWITCHES ARE NOT INTERCHANGEABLE BETWEEN MODELS. 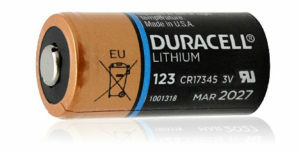 Note: Please use only Duracell or Panasonic 123A batteries. 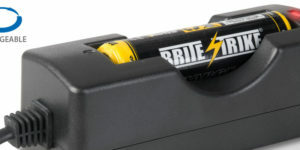 Inferior batteries may damage the flashlight. 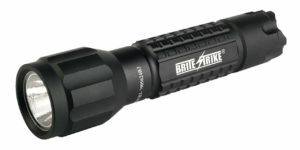 Super tough and dark tint to stand up to the intense lumen output from Brite-Strike® Professional Tactical Lights.